Two moments among others which illustrated the need in France for events such as the Expo-Bible. Bible-believing Protestants may no longer risk losing their lives because of their faith in Christ and their conviction that the Scriptures are the inspired, living Word of God that has spoken, and still speaks to all, young and old. But there is still widespread ignorance in France about the origins, the content and the importance of the Bible. 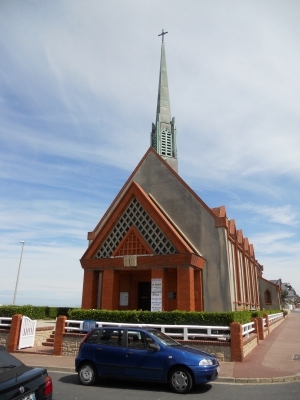 And for that reason a number of volunteers spent some of their holiday time manning a Bible exhibition, the Expo-Bible, in the evangelical church next to the beach in Houlgate on the Normandy coast. By August 6th we had settled in to our adequate, if not luxurious accommodation in the church flat. Many thanks to the members of the team who had been the first to arrive and who had worked hard to make the bedrooms more or less comfortable! 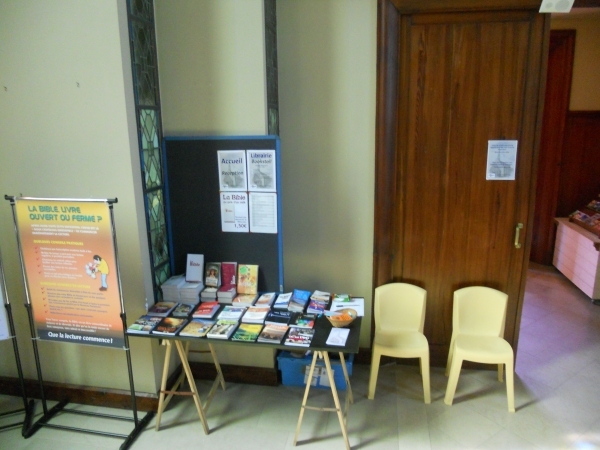 Most importantly, we had also set up the exhibition in the church itself, making certain that the layout was clear and that all “health and safety” issues had been addressed! And, most importantly, all of the books, Bibles, gospels and leaflets had arrived on time and were on display at the back of the church. Everything was in place for the opening the following day! During the first few days the numbers of visitors were encouraging. 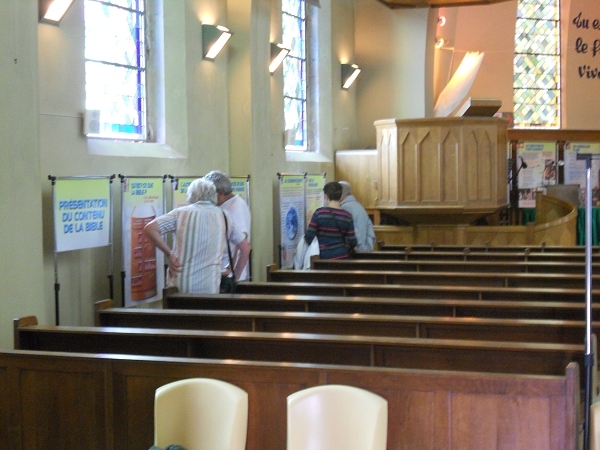 These were mainly older people who were more content to look at the information panels, the books and the leaflets, rather than ask questions or make comments. A number were Catholics, who respectfully crossed themselves upon crossing the threshold and entering. Some of these seemed to be pleasantly surprised that this place of Protestant worship did look like a church, and an attractive one at that! 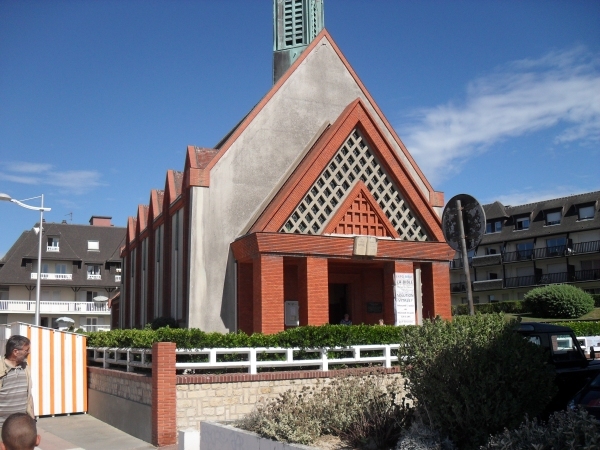 A couple of Jehovah's Witnesses had a lengthy discussion with one member of the team and a young man, Stephane, who is now worshipping in a church in Paris, returned having visited the Expo last year. A lady who had come to the Lord some years ago, but had drifted away, was encouraged by members of the team and given the details of a church in her area. A man wearing hunting gear(!) had a long chat about spiritual matters, and a group who described themselves as pastors also popped in. Some cautious visitors got as far as the entrance to the church, looked in, and then turned tail without visiting the exhibition itself! During the second week the numbers of visitors to the Expo were less encouraging. Not only were the numbers down, but those that did come in seemed less willing to enter into conversation. However, there was a much better day on Friday (possibly due to the late afternoon rain!) when more people came in than on the Monday, Tuesday and Wednesday combined! And those that came in did want to talk, with the result that we stayed open way past the 7pm closing time! Overall the attendance figures were similar to those last year, but still well down on previous years. Over the two weeks a wide variety of people came in: a Parisian lady with a holiday home in the area, individuals who had visited the Expo in previous years, young (and not so young) couples, some who had fallen away after making a commitment to Christ in the past, a man with a degree in theology, a Catholic deacon, Belgian Christians and a man from Cambodia, a secular Jew with a Catholic wife, visitors from Madagascar, a Reformed pastor and his family - a broad range of ages, nationalities, denominations and levels of understanding of Biblical truth. One visitor, in particular, stays in our mind. This lady had been along to beach missions many years ago and had become a Christian. 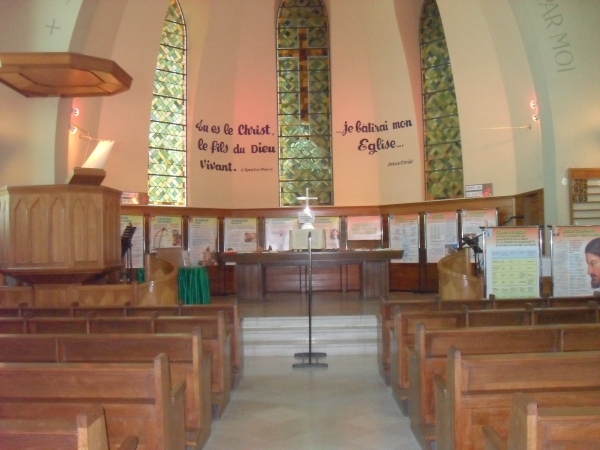 Some time ago, having moved from one church to worship in another, she became very ill and found that her new church did not seem to know how to support her. She drifted away from church and, not too surprisingly, gave up on her Christian faith. Visiting the Expo she was very distressed as she sat in the church. She clearly wanted to return to faith, but she was sure that she was too bad and too much of a failure for God to want her to come back. Thankfully, there were members of the team who were able to talk with her and to reassure her on that score! We have her address and hope to be able to link her up with a good church in her area. Altogether, there were 377 individuals who, we pray, went away from the Expo either understanding a bit more about the significance and the content of the Bible, or having been encouraged in their faith through their visit and their conversations with members of the team. And what about those on the team? Apart from the blessing of Pam's cooking and Philip's organisation and leading, it was a privilege to make some new acquaintances and to learn from one another, not to mention the joy of being able to serve God and to deepen our own understanding of God's Word � and to be reminded that in France there is still a lot more work to be done! It is now time to start thinking about and planning Expo-Bible 2014 at Houlgate! So don't forget to start praying for it now. 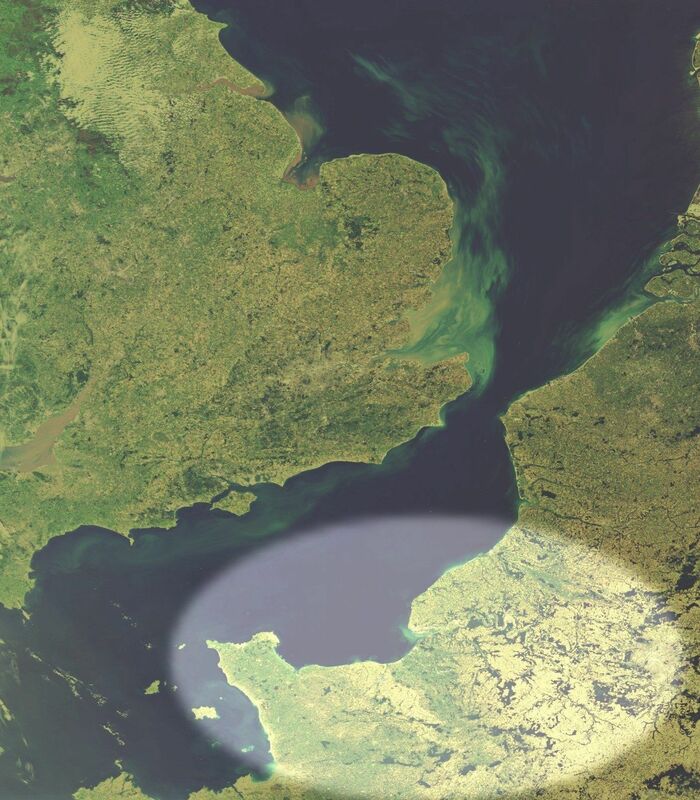 If you would like to find out more about how you can be part of Expo-Bible 2014, as a prayer partner, by being part of the team, or through your financial support, please get in touch with Normandy Vision.